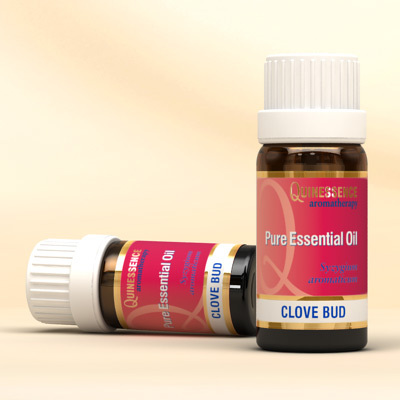 Like most essential oils obtained from spices, Clove Bud essential oil has a positive action on the digestive system when used in massage where its carminative action helps to relieve dyspepsia, colic and stomach cramps. When blended with Ginger essential oil it can also help settle feelings of nausea. It also has a powerful antiseptic and antifungal action which can be put to a wide range of uses. This essential oil excels when used in massage; its invigorating and analgesic action relieves muscular aches, stiff joints, sprains, arthritis and rheumatism. Similarly, its carminative action helps to relieve dyspepsia, colic and stomach cramps. When blended with Ginger essential oil it can also help settle feelings of nausea. It also has a powerful antiseptic and antifungal action which can be put to a wide range of uses.